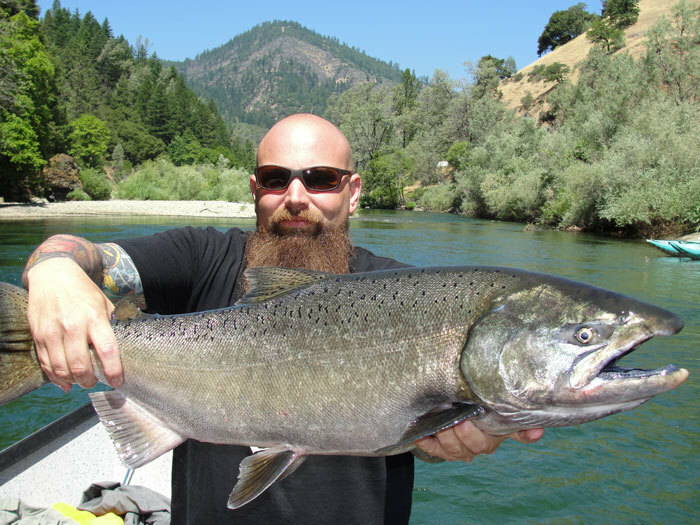 Trinity River Salmon fishing and Trinity River Steelhead fishing, in beautiful Northern California, is the place to be for a great salmon fishing experience. 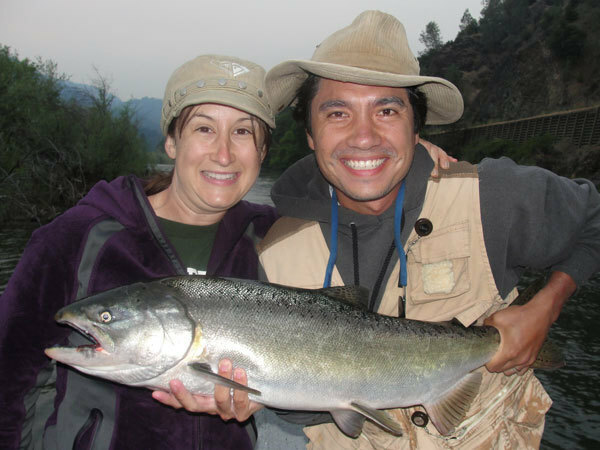 Our salmon and steelhead fishing guides, specialize in California fishing, Trinity River Salmon fishing and Trinity River Steelhead fishing . 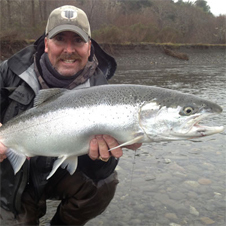 We offer Trinity River fishing guides on the Trinity River Salmon fishing, during the months of May through October, with the best Trinity River Steelhead fishing peaking in October though January. 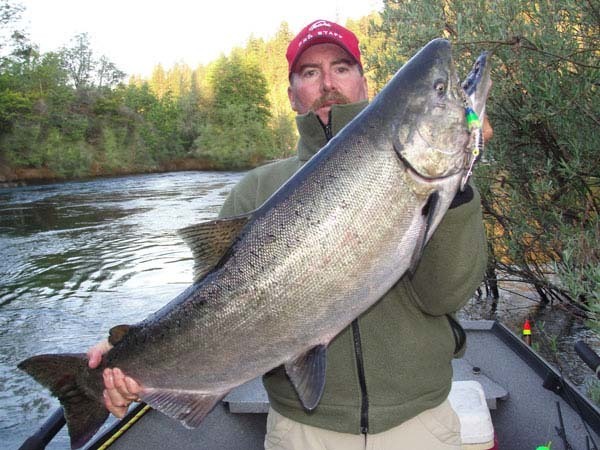 There is no need to travel any further to fish than the Trinity River to fish for the mighty King Salmon. 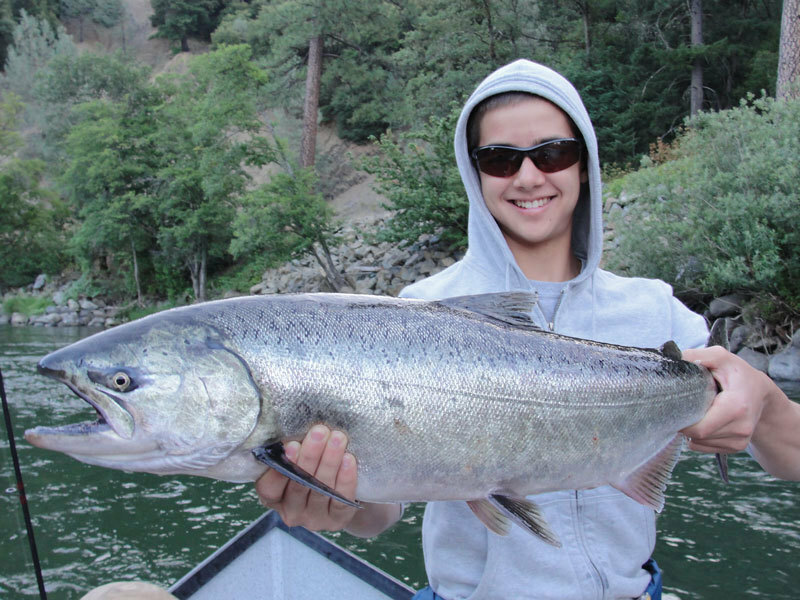 These awesome fish, salmon ranging in size from 10 to 35 pounds. 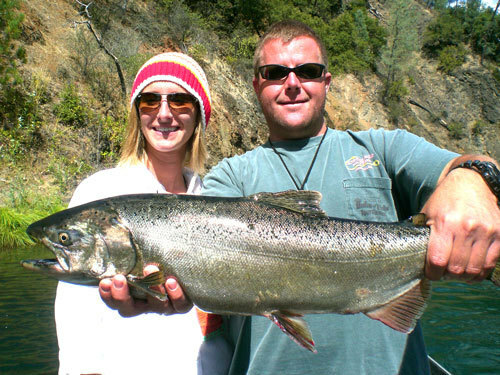 This is Northern California fishing at it's best. Pro Guide Kirk Portocarrero, named West Coast's Top Guide by Yakima Bait Company Worden's, and rated #1 Guide service in Northern California. With many of Kirk's clients, and their catch, gracing the covers ofprestigious magazines across the states. We provide our anglers with everything you need for a top -of-the-linefishing adventure. From professional guides, excellent service, best of the best fishing equipment, and the knowledge of the Trinity River. We are full-time professional fishing guides that fish on a daily basis, year round. We are current on all the hottest fishing spots and techniques. Providing our clientele with the latest, top of the line gear and knowledge, to make sure your trip is successful.